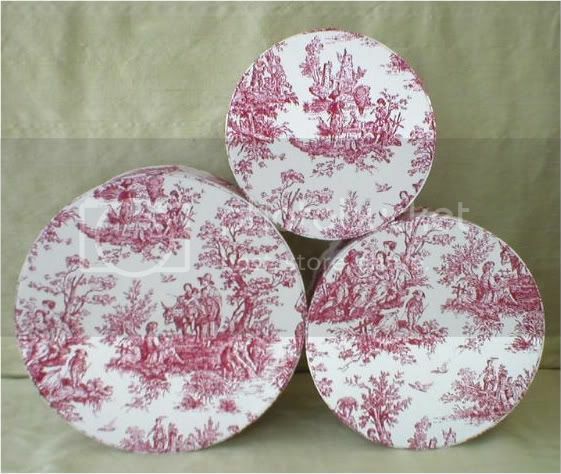 This is a beautiful set of 3 Lg. 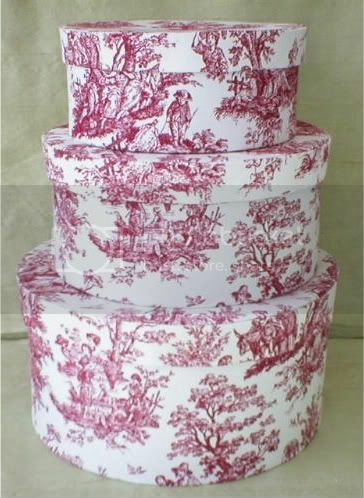 Hat Boxes covered in Crimson and White, Jamestown Toile. 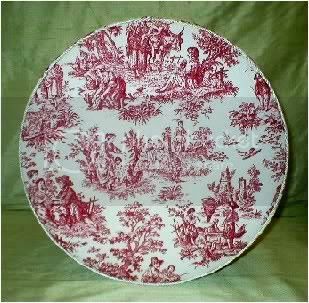 DIMENSIONS: Small: 7" across x 3.5" height; Medium: 8.5" x 4.25"; Large: 10" x 5.25". All of our items are hand made in our Smoke and Pet Free design studio. These are not the mass produced, or overseas imports so common on the internet. Your satisfaction is always guaranteed. See a Matching, XLG. Single Box in our Ebay Store. (just click on the "Ebay Store" link on our home page.